If you like having a bit of wild in your garden and you enjoy surprises in your flower bed, you will certainly love those plants that other people carefully avoid. The 100 best native plants for naturalisation are presented in this book. 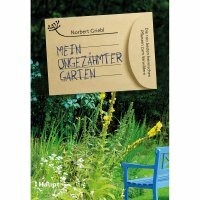 Experienced gardener Norbert Griebl describes the plants’ propagation strategies and provides information about their needs, so that they can flourish and bring you joy. He also shows how particularly wild species are tamed so that diversity can be maintained. Contains additional information about their use in natural cooking or the benefits for the animal world. Votre adresse e-mail J'ai lu la Déclaration de protection des données et je l'accepte.